The Wax Shop is back and better than ever! 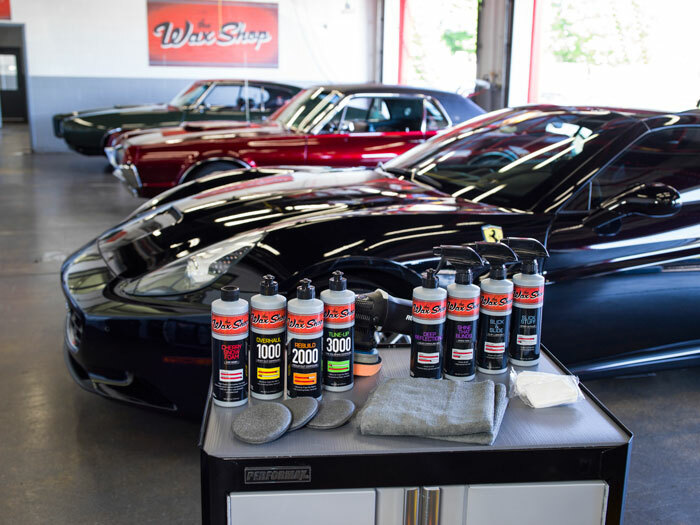 The Wax Shop has recently been reintroduced to the detailing world and is formulated to deliver effective, efficient solutions geared towards today’s automotive technology. Perfect for anyone looking achieve the perfect finish on their vehicles, The Wax Shop strove for a balance of versatility, long-lasting results, and ease of use – and they’ve achieved that! Each product is formulated with high-end ingredients that provide a genuinely clean and shining finish on both daily drivers and garage queens. The Wax Shop treasures the pride that not only comes from having a flawless finish, but also in the journey before and lead up to those results. All seven The Wax Shop product were carefully engineered with the consumer in mind and feature easy-to-follow instructions and high-quality results. Wax Shop Cherry Snow Foam Car Wash 128 oz. Wax Shop Overhaul 1000 Heavy Cut Compound 32 oz. Wax Shop Rebuild 2000 Medium Cut Compound 32 oz. Wax Shop Tune Up 3000 Fine Polishing Compound 32 oz.